Despite the economic slowdown, the banking industry has been the most sought after sectors for the job seekers in finance. Whether it is the public sector or private, jobs in banks are proving to be a promising career option for the people with the right set of skills which can come easily with pursuing the most relevant Banking courses. In this post we will be discussing about the benefits of selecting career as a banker and the easiest ways to flourish in this field. If you are planning g to become a banker then it is quite important for you to know that you have to become multitasking expert and flexible as career in banking will need you to work in many different departments initially. For good growth in your career as a banker, there are few aspects which you need to strengthen and highlight to ensure for a successful career. Just like any other industry, the banking sector is also getting technologically advanced with automated systems and banking transactions happening online from across the world by customers. This requires that you should have basic computer knowledge and also be proficient enough to have an understanding of the software which banks are using to manage data these days. Read More: How to Know When you are ready for a New Career? When working in a bank, you will be interacting with a lot many people on daily basis in the form of clients or colleagues, who are from different walks of life. It will require a lot of tolerance and patience to deal with different people possessing different financial portfolios. You will also be working on small to big transactions, resolving customer problems to the point that you retain them for life. In case you have joined mortgage then you will have to practice skills to negotiate with people. An economic analyst who is good with numbers will be to analyze better. Therefore, it is important to have your specific skill set polished relevant to your desired work profile. In this country, there are plenteous reputed banks which offer benefits and lucrative remuneration for its employees. If you have the right skills you will keep growing constantly and earn a lot in any profile you join. 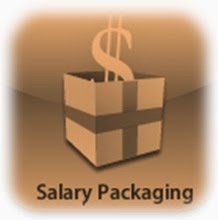 Even graduates are paid good package as compared to other jobs in the other industries for the same level. Those who are pursuing post-graduation from good institutes get starting packages of approximately INR 7 Lac or even more than that depending on the degree and the institution. Read More: Career Question – When Are You to Make a Choice? Though, the fluctuating financial economies remain a threat to the financial institutions, banking jobs are still the most sought after jobs. With huge monetary incentives and challenging working opportunities, this career develops you professionally as well as individually. How to find a Bank Job in India? The hiring cost is an important factor for any organization to decide the operations and the profits cost for every corporate. There are plenteous methods of hiring which include print advertising, job sites recruitment consultants and referral programmes to get the best resources. Especially for banks in this country which hire people in large numbers are using all the above mentioned methods to appoint the candidates they are looking for. Big organization keeps print advertising on top priority because of its reach to the audience. There are many banks which post the recruitment advertisements on their own website; there are few banks which have developed different sites like HSBC Global Resourcing and ICICI Careers. This means different banks have different ways of recruiting people. But they do conduct entrance exams; so if you desire a job in ICICI or SBI Bank, preparation should be equally thorough. Kunal Chhibber is a professional content writer with proficient skills in research. He has been writing many informative write-ups doing exclusive research on job sector. 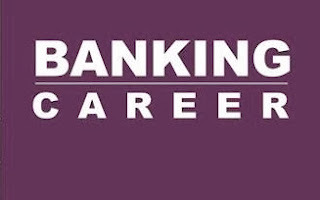 The above article discusses important tips for career improvement in banking sector.